Playing games and watching movies through a VR headset gives a new meaning to virtual entertainment. The world that used to be accessible only through a screen has become closer to the users. In fact, with the integration of augmented reality, in theory, we can transform virtual entertainment into a realistic and interactive experience. Nevertheless, today, we only have the headset, and there are some things you can do to improve your experience in using it. Here are are some ideas! When the first time Oculus was launched, players are shown to wear the headset with a pair of headphone. 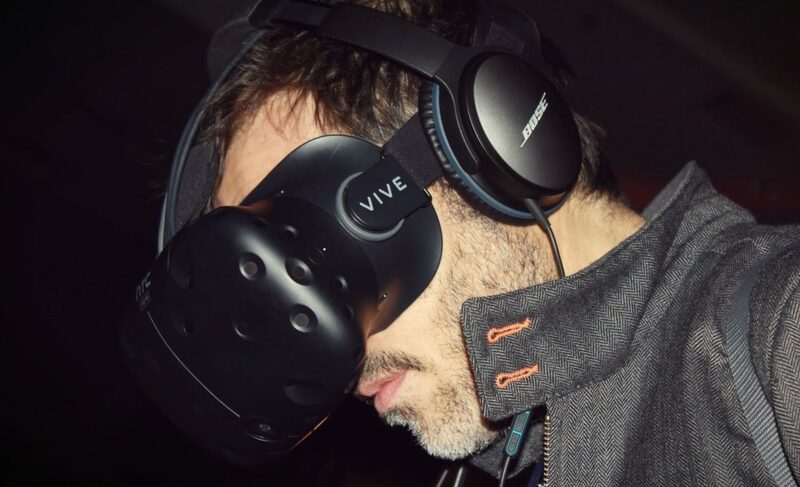 Soon after the product has been mass-produced, the idea of wearing headphones while using the VR headset seems to be uncomfortable to most users. Here, we will learn how VR headset is best used to be integrated with a surround sound system. Why surround sound system? If you are not an audio geek, you will probably not understand the differences between all the speaker systems out there. Surround sound systems are relatively expensive because they cost you around $100 - $200. If you compare that price to a regular sound system (two speakers with extra bass woofers), then you will not see how it is worth it. First, a surround sound system can fill the entire gaming room with sound. Imagine if you play environmentally-immersive games like Call of Duty, Dishonored, the Witcher 3, Arkham Night, etc. with headphones on, the limitation will break the suspension of disbelief during the game. Besides, turning the volume loud on headphones can damage your ears. Second, a surround sound system supported with a good room acoustic can bring out the game world into reality. The feel of being surrounded by noises, explosion, clanging swords, and whispering characters in a room is not comparable to the one from headphones. You will feel the true audio dynamics only from a surround sound system. VR relies significantly on the frame rates since the pixels are relatively lower than those of a screen. You have to check your system's frame rates setting, especially the one on your graphics card driver. Always update the driver's version so that you can avoid laggy and choppy images during your play. Also, your operating system plays a primary role. First, never turn on the hibernate mode on the SSD. Second, always update your OS to the latest version. Windows 10 gets very aggressive and rapid in their updates, but they are all worth the time. Third, update and check your registry manually because automatic updates may have skipped it. This section is related to the first subheading. A surround sound system is not enough without a proper room. First, a loud sound can cause echoes without dampers. You can get the pro acoustic pads to reduce the echoes if you want, but pillows, bolsters, and some teddy bears will also do the trick. Second, not all rooms can contain loud sound sufficiently. You may need to soundproof your gaming room to get the surround sound system work at its maximum capacity. After you focus on the sound, you also need to focus on the lighting. LED lamps with the warm tone are the best and most preferable so far. Even if a VR headset prevents outer light to interfere with the virtual reality, you need to go easy with your eyes after you put off the headset. If you turn off the light, your eyes will have to adapt to a sudden blackout. If you turn on the light that is too bright, you will get headaches from the drastic difference.